Today is the first day of our blog hop.! 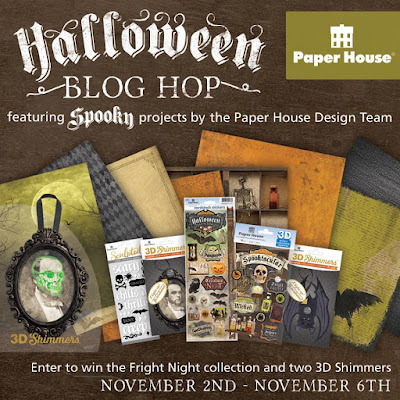 The team from Paper House is kicking off the month with a Fall/Halloween blog hop! Hopefully we will provide some inspiration for creating a project using those pictures you've taken recently or to create one more piece of home decor for the season! If you go to the Paper House Blog you can join in with Christine and Lisa! come back tomorrow and join Me and Lee Ann !